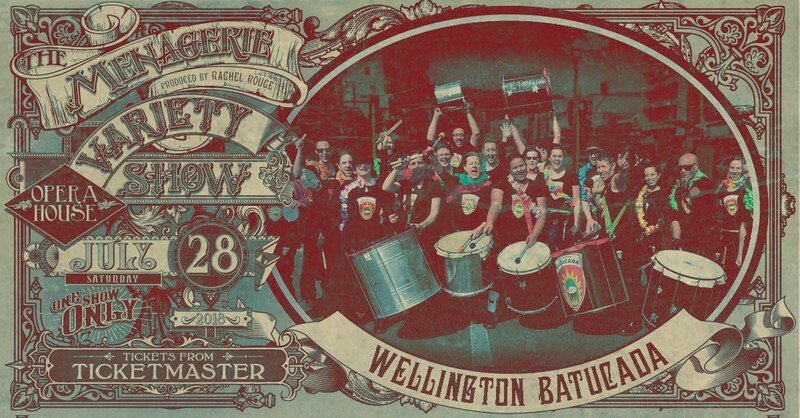 The Menagerie Variety Show is returning to the Wellington Opera House on Saturday the 28th of July for a whole new one-night-only spectacular show of epic proportions. It's like the Royal Variety performance but a lot younger, fresher, weirder, more risqué and heaps more Kiwi. This show brings a fast-paced selection of incredible performances that will take you on a provocative and entertaining journey. If you haven’t seen a variety show before, you must come - every act is completely different and you never know what’s next. Your host Matt Powell will guide you from yodelling to acrobatics with every oddity in between. There’s circus, comedy, dance, music, magic, burlesque, drag, poetry and much more. From uproarious laughter to quiet awe to amazement this show really does pack one hell of a punch. it’s a totally new show every time.